Not every star's dad is from the film industry. For stars like Ranbir Kapoor, Sonakshi Sinha, Tiger Shroff and Alia Bhatt, their initial claim to fame is a famous surname, a well-known daddy. We know these famous parents quite well. So what about the less famous star fathers, what do they do for a living? With Father's Day around the corner, we find out. Even before he hit stardom, Ranveer grew up in affluence thanks to his wealthy businessman father, Jagjit Singh Bhavnani. Credit for Ranveer's youthful appearance can go to the efforts of a fit-looking Bhavnani, who is a first cousin of Sunita Kapoor, Anil Kapoor's missus. Image: Jagjit Singh Bhavnani, left, with his son Ranveer Singh. 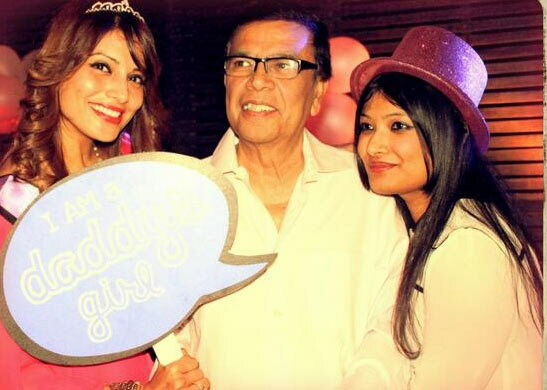 Like most daughters, Bipasha Basu adores her dad and doesn't miss any opportunity to express her affection. Hirak Basu, a civil engineer, wasn't too kicked about his daughter pursuing a career in the glamour industry since she excelled in academics. The Raaz star's eventual success, however, changed his views. Like cousin Priyanka Chopra whose family had nothing to do with films, Parineeti Chopra's papa Pawan is a businessman in Ambala. Parineeti was inclined for a career in finance, but the 2008 recession compelled her to join Yash Raj Films first as a marketing executive and then as a leading lady. 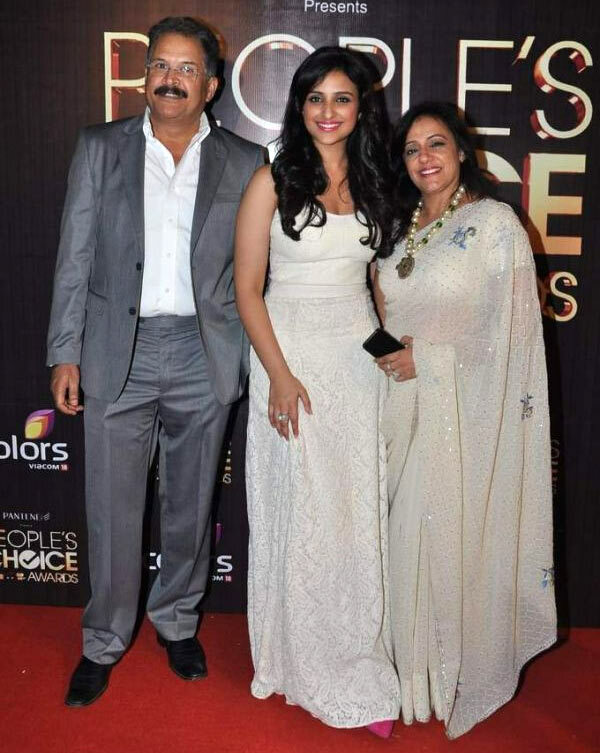 Image: Pawan Chopra, Parineeti Chopra and Reena Chopra. Before becoming one of India's most respected actresses, Vidya Balan led a low-profile existence in a typically academics-inclined, service class set-up. Her father P R Balan works as the Executive Vice-President of Digicable, an Indian cable distribution company. 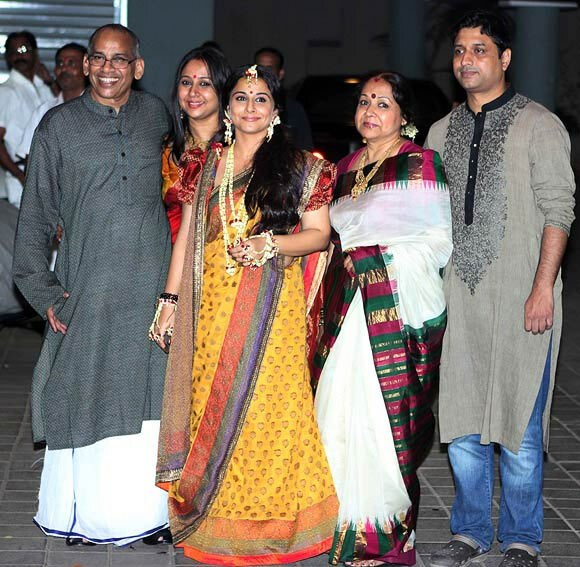 Image: Vidya Balan, center, with from left, her dad P R Balan, sister Priya, mom Saraswathy and brother-in-law Kedar Nene. A fact she likes to play down, the Queen star hails from Rajput nobility in Surajpur (previously Bhambla), Himachal Pradesh. Her dad Amardeep Ranaut is involved in the construction business. Opposed to Kangna's decision to join Bollywood, he broke all ties with her when she left home as a 16 year old to work in Mumbai. Of course, he came around later; they patched up and, today, he couldn't be less proud of his daughter's achievements. What do Lara Dutta, Celina Jaitley and Anushka Sharma have in common? Armyman daddies! Colonel Ajay Kumar Sharma, who retired from the army a couple of years ago, now lives with his wife Ashima and celebrity daughter in Mumbai. Born in Patna, Sushant Singh Rajput is the only son of his father K K Singh. Sushant has four sisters. Singh, a government official, was quite shocked when his son dropped out of engineering college to become an actor. If the response to his son's performance in Kai Po Che and Shuddh Desi Romance is anything to go by, he shouldn't feel let down any more. Asin started out quite young to work in Malayalam, Telugu, Tamil and eventually Hindi films. And to make things comfortable, her entrepreneur father Joseph Thottumkal became his daughter's manager to handle her career. Her mum Dr Seline Thottumkal is a surgeon. 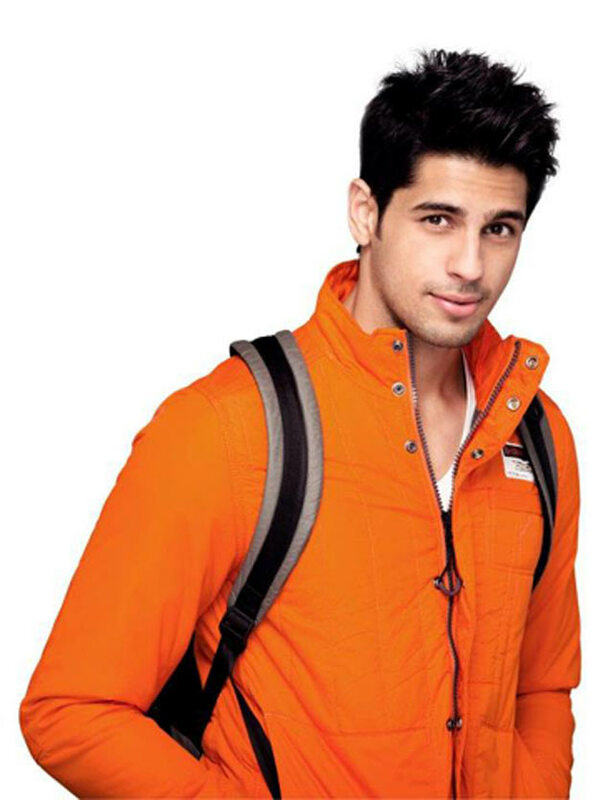 Unlike his Student of the Year co-stars Alia Bhatt and Varun Dhawan, Siddharth Malhotra wasn't born in a filmi family. His dad Sunil worked in the merchant navy while his mom Rimma is a housewife. One of the brightest actresses of her generation, Swara Bhaskar has earned rave reviews for her work in films like Tanu Weds Manu, Listen Amayaand Raanjhanaa. Her command over her art would make you think her parents belonged to the same profession. Her dad retired naval Commodore Chitrapu Uday Bhaskar is one of India's leading strategic thinkers and we are proud to declare an occasional contributor to Rediff.com. Swara's mom Ira is a professor at the Jawaharlal Nehru University, Delhi.